Home > Toys & Games > Ends Tonight – Save On Select Melissa & Doug, MasterPieces, and Other Puzzles From Amazon! 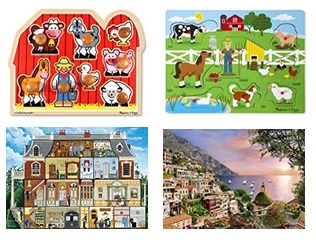 Ends Tonight – Save On Select Melissa & Doug, MasterPieces, and Other Puzzles From Amazon! January 24, 2019 Comments Off on Ends Tonight – Save On Select Melissa & Doug, MasterPieces, and Other Puzzles From Amazon! Today only, save on select Melissa & Doug, MasterPieces, and Other Puzzles from Amazon!